First ‘How to Train Your Dragon: The Hidden World’ Poster Has Toothless Finding His Mate!!! Check It Out!! | Welcome to Moviz Ark! First ‘How to Train Your Dragon: The Hidden World’ Poster Has Toothless Finding His Mate!!! Check It Out!! Universal has released the first How to Train Your Dragon 3 poster. The third installment, officially titled How to Train Your Dragon: The Hidden World, has both Hiccup and Toothless facing their destinies as Hiccup ascends to lead Berk alongside Astrid and Toothless as the leader of the dragons. However, their plans are thrown into chaos when they counter the appearance of a female Night Fury. It will be interesting to see where this new installment goes. The How to Train Your Dragon franchise is the best thing DreamWorks Animation has ever done, and I’m curious to see how they’ll be finishing out the trilogy, or if The Hidden World will serve as a conclusion at all. I certainly wouldn’t complain if they kept making new adventures in this series. 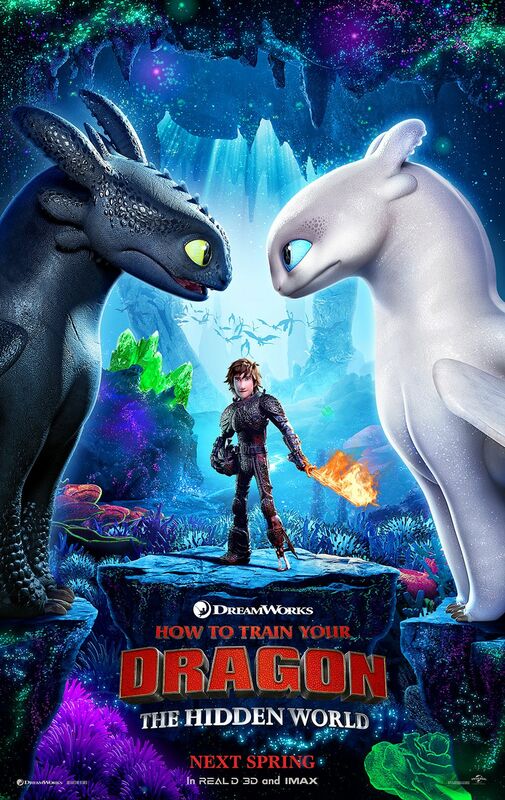 Check out the How to Train Your Dragon: The Hidden World poster below. The film opens March 1, 2019 and features the voices of Jay Baruchel, America Ferrera, Cate Blanchett, Kit Harington, Craig Ferguson, and F. Murray Abraham. ← ‘Sonic the Hedgehog’: James Marsden to Star in the Live Action adaption! !